Moving day can be stressful in itself, and the weeks of preparation beforehand can produce unwanted stress and concerns. While you’ll hopefully steer clear of these scary discoveries, you may still unearth some apprehensions. The sheer idea of collecting everything from every room in your home can be utterly overwhelming. The next step of packing it all seems unattainable. Don’t fret — by splitting up your packing sessions and taking it one room at a time, you can easily get all of your packing done in a reasonable timeframe. Begin in rooms you don’t use as often, such as your guest room, attic or basement. Then, slowly work your way into the rooms you frequent on a daily basis. There goes your newest casserole dish. 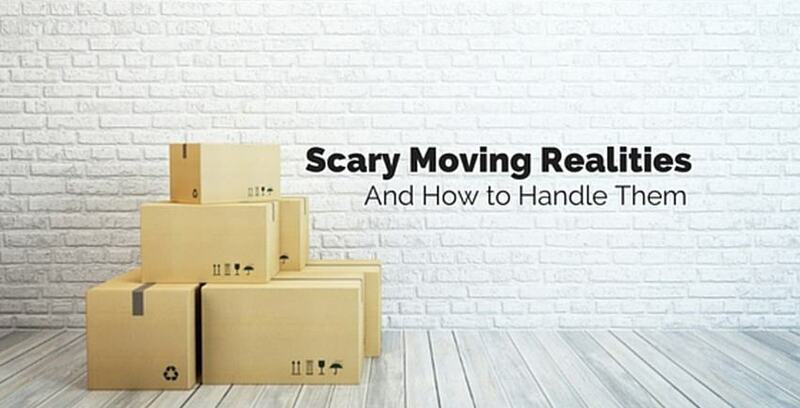 In reality, your chances of breaking one or more of your belongings escalates when you move, but you shouldn’t be paranoid. Instead of tiptoeing with boxes in hand, properly pack and store your things so they’re protected from the elements. You can’t go wrong with bubble wrap and packing blankets. If you’re feeling a little uneasy about the packing process, consider hiring professional movers. They know what they’re doing, and you’ll have a little peace of mind. There’s no saying where that box of old photographs went. Well, there is, but you have no idea which of the nine brown, cardboard boxes it’s resting in. It’s normal to fear losing your stuff — especially those items of high sentimental value — but making the decision to stay organized will lessen your odds of not discovering a lost item until months after a move. Always label your boxes, and have a rhyme and a reason for your movements and decisions. You’ll be more organized this way. The fear of the unknown can be daunting. There’s a certain feeling of uneasiness when you take over a new space or place. It’s going to take some time to feel completely welcome and comfortable, and that’s perfectly fine. Be sure to tackle unforeseen challenges with grace, and throw yourself into new opportunities. It’s going to be all right. When all of the boxes are moved and your belongings are slowly claiming space on your shelves, you might discover something that’ll make your stomach drop. The furniture might not fit the way you planned, and the showerhead might need replacing. At times, you will encounter scenarios you aren’t prepared for that will test your patience. Moving requires a resilient attitude, and a willingness to embrace every new situation. Are you looking for a place to store your extra things? Contact Storage Direct! We offer secure, nationwide facilities that are sure to fit your needs. We even offer climate-controlled storage so you can keep your belongings safe fro the elements. Contact us today to learn more!